Princess Diana had a very Aussie family nickname for Prince William. The adorable and very Aussie nickname Princess Diana gave to Prince William. There’s no shortage of nicknames when it comes to the royal family but we’ve just discovered one of our favourites. 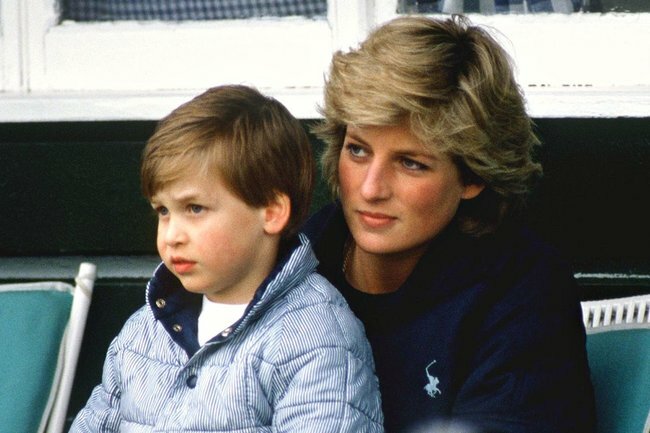 In a resurfaced 2007 interview between former NBC journalist, Matt Lauer and princes William and Harry, William shared the story behind the childhood nickname given to him by his mother Princess Diana. Prince William said he earned nickname ‘Wombat’ when he was two years old and had accompanied his parents on their tour of Australia and New Zealand in 1983. “I’ve been rightfully told because I can’t remember back that far. But when we went to Australia with our parents, and the wombat, you know, that’s the local animal. So I just basically got called that,” he shared. Growing up royal with Prince Will and Harry, this is what their childhood looked like. Expect many matching outfits. Prince Harry had a different recollection when it came to the origins of the nickname… even though he was born in 1984, a year after said tour took place. “You know what it was. He was still crawling at six,” he joked. In the same interview, Prince William also teased royal fans with Prince Harry’s many alleged ‘lewd’ nicknames, as well as his obvious pet name of ‘Ginger’. “Oh, Ginger. Whatever. You can call him whatever you want. Most of them I can’t call in front of here. You know, a bit rude. He’s got plenty,” he shared. Although the younger Prince’s ruder titles will probably never be revealed, there are two that we already know of. According to a very important investigation by Hello! apparently his wife, Meghan Markle simply refers to him as ‘Haz,’ while The Sun also recently reported that their staff have dubbed the couple as Chandler and Monica, but not for the completely positive reasons you might expect. As maintained by their insider source, the pair got the nicknames because of Meghan’s Monica-esque “control-freak personality” and Prince Harry’s “easygoing nature,” but as any avid Friends fan will know, Monica was also one of the show’s most determined, caring and loveable characters. What do you think of Prince William’s adorable nickname? Did you have cute family name that just unfortunately ‘stuck’ when you were younger? Share your story in a comment below.